This 14 day itinerary allows you to experience all the highlights of the North and South Islands. From the Auckland, City of Sails, to the golden sandy beaches of the Coromandel. Explore the cultural capital of Rotorua, the boutique wine regions of Napier, and the quirky capital of Wellington. Cross the Cook Strait to the South Island with its rugged mountains, glaciers and lakes. An outstanding self drive tour that perfectly encapsulates the essence of New Zealand in an outstanding two week adventure. 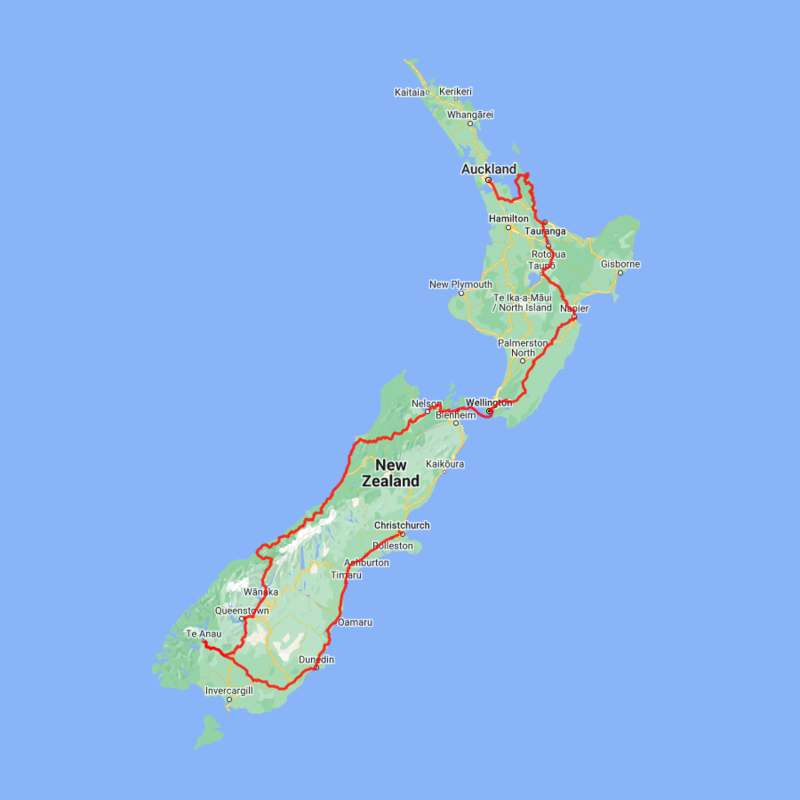 You can expect to spend around NZ$385 in fuel cost on this itinerary based on an intermediate sized car. Just a little further south is Greymouth, the administrative centre of the West Coast and a great attraction here is Shantytown, a replica gold mining village. The township of Hokitika was built on the pioneering spirit of the West Coast settlers. A busy port in its heyday it then became a centre for the West Coast gold rush and more recently has become known for its Jade or Greenstone crafts. Here you will find many shops selling intricately carved pieces as well as other fine arts and souvenirs. The town itself has some great old buildings and you will also find some fine restaurants and cafes.